We have meetings about every month. Dates and venues to be anounced via the SNIPS mailing list. Join us in writing science fiction and fantasy - short stories, novellas, novels. 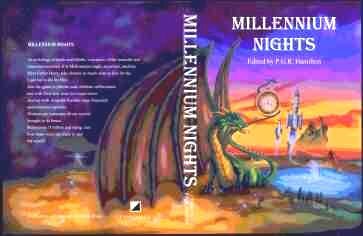 We have published an anthology of short stories called Millennium Nights. Although these stories all focus on the theme of the millennium, they range from the distant past to the far future and include sf, fantasy, comedy and horror. Check it out at Barbara's Books or Dymocks Booksellers, or you can buy copies directly from us if you prefer.